While smaller trees are less expensive than big trees, many folks like the instant gratification that comes from planting mature shrubs and trees. The process of digging large or mature trees from the ground can damage the root systems of big trees, with the amount of damage depending on the size of the digging tool. However, large machines are now capable of digging entire root systems of trees from the ground with little damage. Professional standards also indicate the size of the root system that should remain intact. If you are buying big trees, there are a few precautions you should still take because of the large amount of money involved. 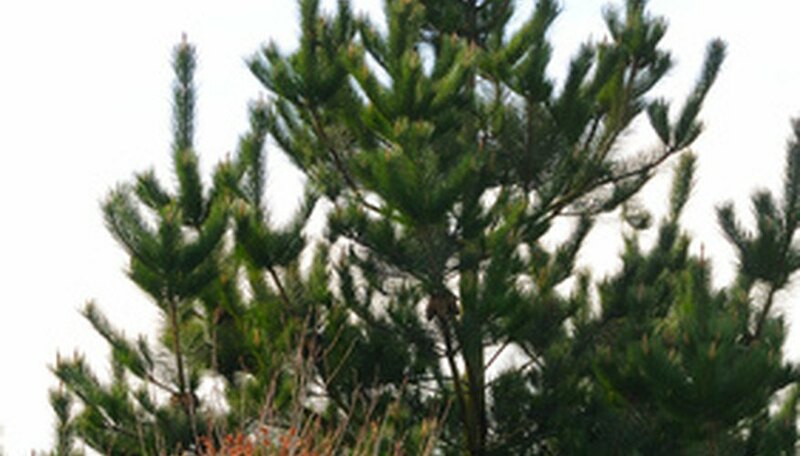 Contact your local County Extension office for a list of recommended trees for your area. Every county has a County Extension Office and the staff is happy to help you find the right tree for your landscape. The local County Extension Office will have a list of high-quality native trees appropriate for your native soil and USDA Plant Hardiness Zone. Visit a reputable plant nursery that sells large mature trees during the fall, winter or early spring before the trees begin to bud or leaf out. This is the best time to plant large trees so they are planted when they are dormant, the roots can adjust to the new location and there is less chance of transplant shock. Decide whether the trees you would like to plant should be container trees or balled and burlapped trees. Large trees in a plastic or wooden container usually have more roots intact than balled and burlapped trees because they were probably dug from the ground as long as one year before. Although there is less chance of transplant shock, large trees planted in a container for more than two years may have roots encircling the root base that can lead to girdling of the root base and the death of the tree. Avoid big trees that are planted in a container for more than one year by asking the nurseryman how long the trees have been in inventory. Many times you can see roots encircling the root ball just below the surface of the soil next to the side of the container. Balled and burlapped trees were recently dug and the root base is wrapped in burlap. Be sure the balled and burlapped, or "B & B," trees are out of the ground less than two months, and they are not sitting in a way where the root ball is exposed to the elements. They should be upright or at an angle with the burlapped wrapped root balls placed in a frame where the root ball is covered with damp mulch or soil. Consult with the nursery owner about delivery unless you have the capacity to move the trees yourself. The nursery owner will have the equipment and trailer to deliver his merchandise because few people have the equipment needed for delivery and planting a big tree. This will be an added cost. If you do not have the capacity to dig the large hole needed to plant the tree as quickly as possible, find out if the nursery owner can plant the tree or if he can recommend someone who can do the job for you. Planting the tree is another added cost. Ask the nursery owner about any guarantee or warranty he offers. Most reputable dealers will replace the tree if it dies within one year and it is planted correctly. Choose the tree that you like and complete your purchase. Have the nursery owner place a tag on the tree, or better yet, mark your purchase with a permanent marker. That way, when the tree is delivered, you know you received the tree that you chose when you visited the nursery. Never buy big trees from vendors on the side of the road or vendors housed in a temporary location. Those trees may be freshly dug improperly without necessary irrigation, have damaged roots or be leftover from a landscaping job where they sat for days in full sun without the proper care.